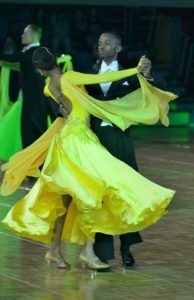 Ballroom and Latin American dancing devastating problem. The members of the WDSF Communications team made their own experiences with the new (and frankly: very erratic) policies that seem to govern visa issuance since March 2016 (when they had applied last). A news item was published on it: click here! 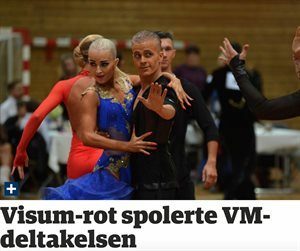 We learned today that at least one couple was finally unable to travel: Petter Engan - Kine Mardal, who were supposed to represent Norway here in Chengdu, will not dance on Saturday. They tell their story on Facebook. A good thing that the Norwegian media take up on their story too! 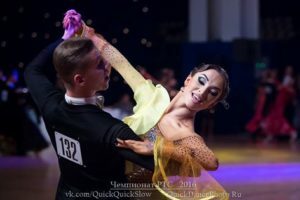 This is a bad experience for the dancing especially the couple who was due to compete. The Federation of China should be helpful in enabling other countries to enter their country. This will be bad for China as if this problem persist it will discourage other couples from competing there. This should also be an eye-opener to other countries who host world championships to ensure couples can enter the country well to compete. The article was taken from WDSF , please note the editing of the article ay have changed to fit this site. She's been a seasoned pro since 2012 but Karen Clifton has dropped a HUGE bombshell - this could be her last series of Strictly Come Dancing. The 34-year-old, who is partnered with Will Young , hinted that she may bow out of the celebrity dancing competition later this year because she wants to start a family with husband and fellow dancer Kevin Clifton. "Kevin and I are hoping to have a family pretty soon so that’ll probably mean I’m going to be out of the show in the near future," she told The Sun. She added: “But we absolutely love Strictly!" Speaking of her family goals, she admitted she already knows how many children she wants. "I want at least two kids and a dog and a big house and a bird. Two kids will keep me busy, ” she added. Husband Kevin, who’s partnering Louise Redknapp this series, also hopes to start a family soon. “Karen talks about having kids quite a bit. We have spoken about starting a family – it’s just fitting it in to the schedule," he said. The dancing couple married in Westminster last year with their Strictly co-stars and celebrity contestants, including Susanna Reid and Frankie Bridge, in attendance.